Join Us! Become a Member! 90 People have registered and Registration is now Closed. The annual NCNPS Spring Outing for 2019 is May 10, 11 and 12 in the West Jefferson area. 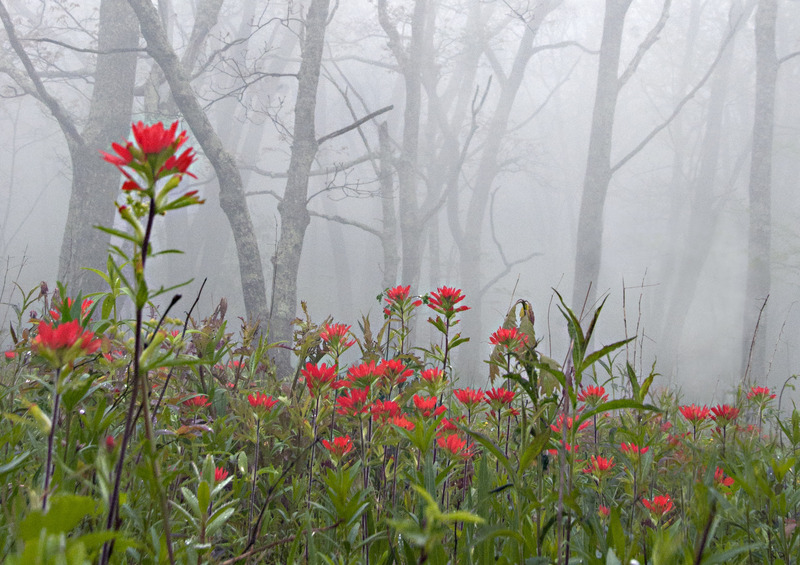 Please join us for some remarkable botanizing in a truly exquisite area of North Carolina. Although a final agenda is still being developed, information about the Outing is below. Hikes – The Nature Conservancy has been gracious to allow guided hikes on Bluff Mountain. The Conservancy’s $15 hiking fee will help protect these 3800 acres preserve. We will also hike at Elk Knob State Park, New River State Park Wagoner Access, Mt. Jefferson State Natural Area and the Mountain to Sea Trail. Lodging – A block of rooms is being held at the Holiday Inn Express at a rate of $149 + 13% tax/night until April 10 for May 10 & 11.Call the Holiday Inn direct to make reservations. 336-846-4000. Group NC Native Plant Society. The “Accommodations” page on the Ashe County Chamber of Commerce lists other accommodations. Spring Outing participants are responsible for making their own accommodations. Meals—Spring Outing participants are responsible for obtaining their own meals. Find details on chapter homepages.